Carbon Conversations: Can interviews with the carbon calculator reduce people's footprints? 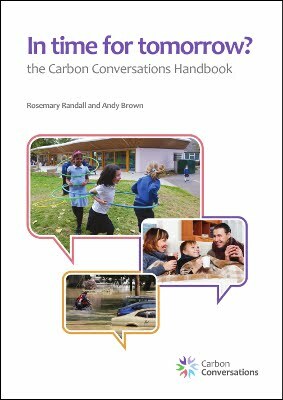 Back in 2005 the information this gave was a revelation to many people and about 10% of those interviewed joined Carbon Conversations groups in order to explore how to reduce the emissions they were in control of. Recently Milena conducted a longtitudinal study, using the current Carbon Conversations calculator, to see if such interviews and the personalised information they provided could by themselves lead to reductions in people's footprints. The disappointing (but perhaps not surprising) news is that they don't by themselves produce reductions. The research identifies significant barriers to personal action including the lack of appropriate infrastructure but also important socio-cultural factors and many of the psychological issues that Carbon Conversations groups try to work with such as the helplessness people feel in the face of climate change. It would be interesting to repeat this experiment in a country where there are fewer infrastructural barriers and where government policy is actively encouraging the necessary socio-cultural shifts. The full article Promoting Low Carbon Behaviours through Personalised Information? Long-Term Evaluation of a Carbon Calculator Interview is available here. We would encourage you to read it. We think that the carbon calculator remains a useful tool for introducing people to the effect of everyday life on carbon emissions but it's clear that there is much more to reducing carbon emissions than easy voluntary change.